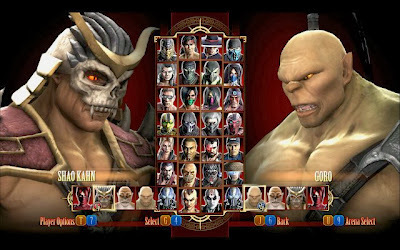 Mortal Kombat Komplete Edition was one of the games PC gamers looked most forward to since it is among the very limited number of Mortal Kombat games which have been brought on PC. The game was released for Microsoft Windows [PC] in July 2013 and not too long after that many mods were released. One of the features not loved by PC gamers was that the Bosses [Shao Kahn, Kintaro and Goro] were not playable. But the mod in the video above is precisely why we all love PC gaming. A mod was released which made all the bosses playable in the game. Now players can play as all the 3 bosses in their games by simply copy and pasting the mod files in their game installation directory. The upload of the mod also said that the creator of the mod has been working on importing Kratos from the PS3 to PC but as of 30 August, 2013, there has been no such mod out yet. The current BOSS mod have no side effects whatsoever. It does not replace any of the other remaining characters nor does it result in any crashes so it is almost a must have for every PC Mortal Kombat Komplete Edition player.